Monazite-(Nd): Mineral information, data and localities. From the Greek μουάζειυ "to be solitary" in allusion to the rarity of its presence in the first known localities, plus "Nd" as the Nd-dominant member of the Monazite series. 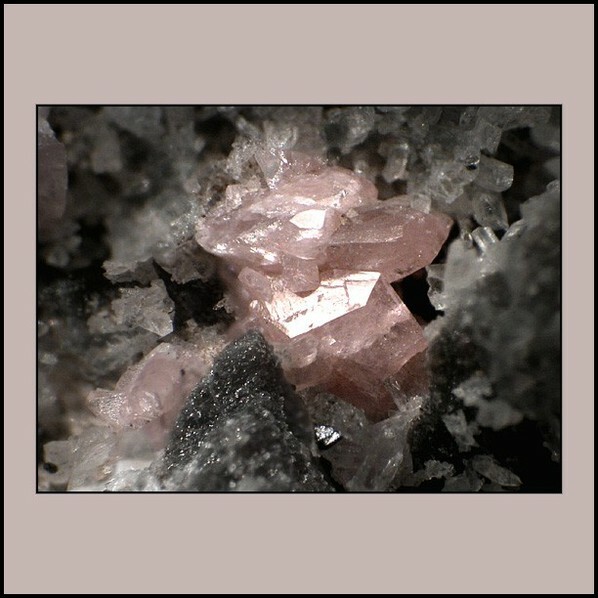 American Mineralogist (1983): 68: 849. Graeser, St. & Schwander, H. (1987): Gasparite-(Ce) and monazite-(Nd): two new minerals to the monazite group from the Alps. Schweiz. Mineral. Petrogr. Mitt., 67, 101-113. 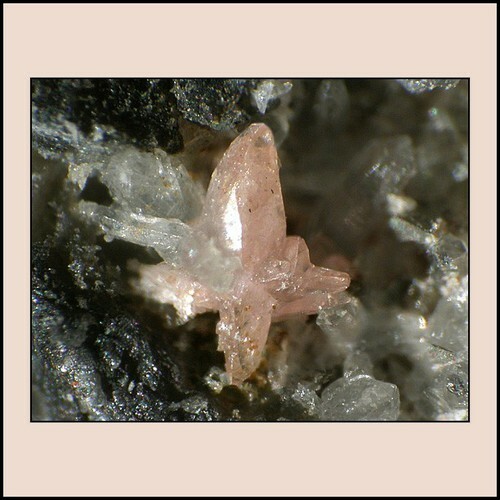 American Mineralogist (1988): 73: 1495. Schweizerische mineralogische und petrographische Mitteilungen (1987): 67: 103-113. M. del Blanco, H. Echeveste y R. Plá (1996). Mineralización de tierras raras y torio en carbonatitas, sierra de Cobres, provincias de Salta y Jujuy. 3ra Reunión de Mineralogía y Metalogenia. Instituto de Recursos Minerales, UNLP. Publicación 5:91-97. M. del Blanco, H. Echeveste, H. y R. Plá (1996). Mineralización de tierras raras y torio en carbonatitas, sierra de Cobres, provincias de Salta y Jujuy. 3ra Reunión de Mineralogía y Metalogenia. Instituto de Recursos Minerales, UNLP. Publicación 5:91-97. Mitchell, R.H. & Smith, D.L. (2017) Geology and mineralogy of the Ashram zone carbonatite, Eldor complex, Quebec. Ore Geology Reviews 86, 784-806. Scharm, B. & Scharmová, M. (2000) Accessory minerals of siliceous rocks from the Kokšín hill near Mítov (Barrandian Neoproterozoic). Bulletin of Geosciences, 75(3), 307-318. Graeser, St. & Schwander, H. (1987): Gasparite-(Ce) and monazite-(Nd): two new minerals to the monazite group from the Alps. Schweiz. Mineral. Petrogr. Mitt. : 67, 101-113. Minakawa (1986) Sanko-Gakkai Kou'en-Youshi, 72. Matyszczak, W. (2018). Liandratite from Karkonosze pegmatites, Sudetes, Southwestern Poland. Mineralogy and Petrology, 1-14. Ozdín, D. (2015) Mineralogická charakteristika Fe-zrudnenia východne od Ľubietovej. Esemestník, 4, 2, 37-38 (in Slovak). Pršek, J., Ondrejka, M., Bačík, P., Budzyń, B., & Uher, P. (2010). Metamorphic-hydrothermal REE minerals in the Bacúch magnetite deposit, Western Carpathians, Slovakia:(Sr, S)-rich monazite-(Ce) and Nd-dominant hingganite. The Canadian Mineralogist, 48(1), 81-94. 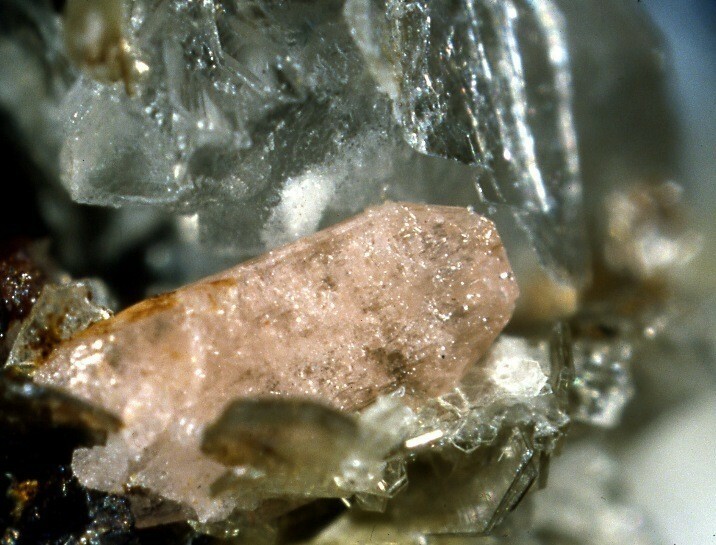 Števko M., Uher P., Ondrejka M., Ozdín D., Bačík P., 2014: Quartz-apatite-REE phosphates-uraninite vein mineralization near Čučma (eastern Slovakia): a product of early Alpine hydrothermal activity in the Gemeric superunit, Western Carpathians. Journal of Geosciences, 59, 209-222. Krzemnicki, M. (1992) - unpublished thesis. ⓘ Ray Mica Mine (Wray Mine) ? Thomas Buchholz, 1999 "Minerals of a Wausau Pegmatite, Marathon County, Wisconsin", Rocks and Minerals, vol .74 #4, p. 254 - 258.